Azealia Banks UK fans may be just a tad bit furious that she has pushed her one off show at London's Brixton Academy on November 30, 2013 to March 2014. 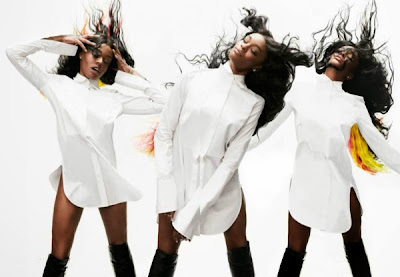 But instead they get a full tour from her in March 2014 to support the release of her much anticipated debut album, ‘Broke With Expensive Taste’. The nationwide headline tour will kick on March 25, 2014 at the O2 Academy in Glasgow and will close on March 29, 2014 in London's Brixton Academy. All tickets previously purchased for the Brixton Academy show on 30th November 2014 will be valid for the show on the 29th March, 2014.